In my youth I sang it just about every Sunday in the Episcopal choir in Albany, NY, as a soprano. 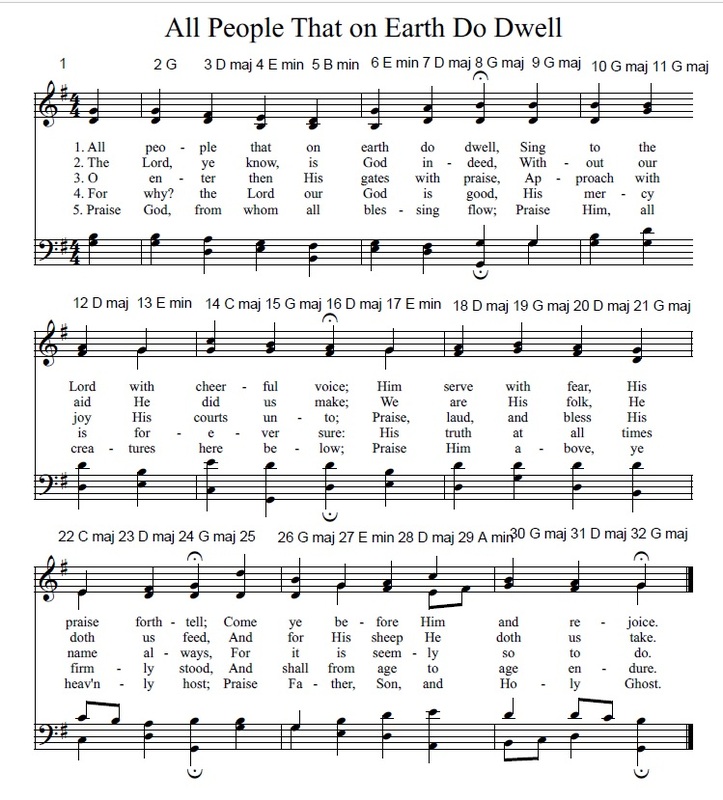 Today’s version is a combination of the actual hymn, together with transformations where the next measure played is either the one before or the one after the current measure. It’s the Drunkard’s Walk Markov Chain, going either forward or backward through the measures. The tuning is mostly conventional just intonation, with scales derived from the tonality diamond to the 31 limit. Wow, the leading tone in this is so bizarre! Not low enough to register as neutral to me, but that might be a timbral thing. What is it, like 126-ish cents?